Disclosure: This post was made in partnership with Fun.com but all thoughts and opinions are my own. Disney’s new live action adaptation of Aladdin is coming to theatres May 24th. 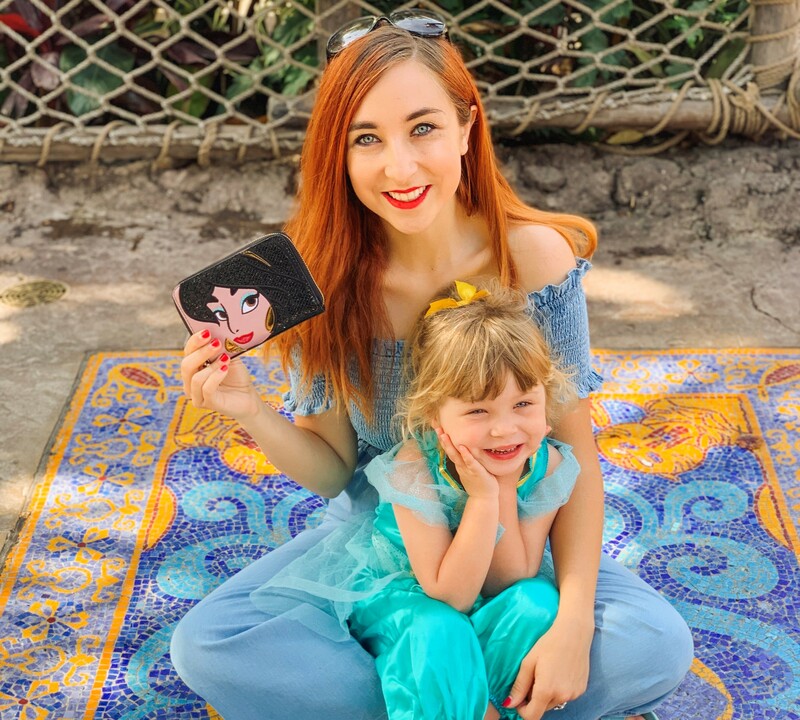 You all know I love a good themed outfit for my daughter and I to wear to go along with Disney movies and events coming out, so we selected some items from Fun.com, an amazing online store that has hundreds of Disney accessories, to get ready for Aladdin! My daughter absolutely loves dressing up as Disney princesses, and she didn’t have a Jasmine costume in her dress-up collection. We found a beautiful Jasmine Disney Princess costume on Fun.com, that is airy and comfy to wear around on a hot day at Disneyland. It is very shimmery, so perfect for the most adorable magic carpet photos! The costume is a great price point while also being high quality and comfortable enough that my daughter wanted to keep wearing it all day at Disneyland. She felt like a true princess, and even wanted to go find Aladdin and Princess Jasmine to show her costume to! It would also be a great costume to wear to take photos on the Magic Carpet ride at Walt Disney World, or when you go to see the new Aladdin in theatres. I got the 3T/4T size, which fit my 4 year old perfectly with still wiggle room to grow to get to wear it for awhile. I can’t wait to also try out different outfits throughout the next few months to pair with my new Danielle Nicole Jasmine wallet! Amelia and I are ready for the release of Aladdin thanks to Fun.com’s amazing Disney selection! It’s a fantastic one-stop shop for numerous Disney-licensed brands and accessories so you can gear up for all your Disney fandoms. You can start your own Disney shopping spree on Fun.com here!